Sara Reinke is touring and I'd like to welcome her here today. She's also giving us a view of a day in her life. So without further ado I'm turning this over to Sara. I wish I could say that my life as a romance author begins each morning with a fresh cup of coffee as I sit in front of my computer, readying for another day of blissful, uninterrupted writing, with no distractions or stress and only the boundless realm of my imagination for company. Unfortunately, real life isn't quite that ideal. At least in terms of writing. I'm a wife and mother of two; I work a day job full time and go to nursing school in the evenings. Somewhere in between homework, office responsibilities, deadlines, laundry, grocery shopping, yardwork, house cleaning and scraping out the cat box, I try to make time for writing. Oh, yeah, and running my own business -- Bloodhorse Press, LLC. Thank God for Facebook, otherwise I'd probably never get to talk to my friends. Sometimes I'm able to write every day. Sometimes not so often. More than just my ordinary hectic schedule, my enthusiasm for what I'm writing -- and my level of "burn out" from promotional efforts -- affects when and how often I'm able to work. But it's been that way for years now, ever since I had children and my life, along with all of my previous priorities, completely changed. I've had a long time to adjust to this "catch as catch can" writing schedule - so much so that it feels perfectly normal to me, and I imagine having a day like the one I described above -- uninterrupted in front of my computer -- would be anything but enjoyable or productive for me. I still feel like I'm able to grow, develop and entertain as an author, despite my lack of predictable scheduling. My latest book is a great example. 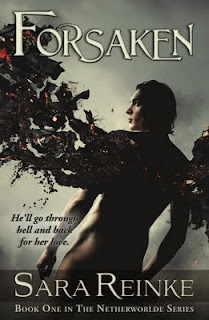 In Forsaken (Book One in The Netherworlde series), Jason Sullivan has everything he could have wanted in life -- his own business, the perfect girlfriend and the perfect opportunity to ask her to marry him. Then, in one violent, unexpected moment, he loses it all. Murdered in cold blood, wrongly condemned and enslaved to a sadistic demon, Jason must fight to reclaim not only the life and love he'd once known, but also his soul. 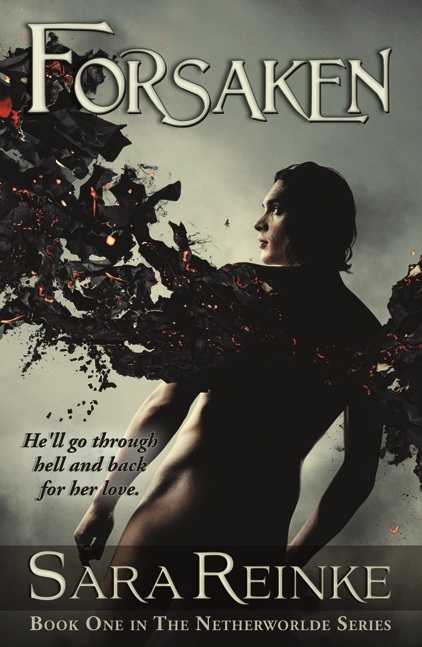 Forsaken started off as a glimmer of an idea that nagged in my head until at last, I started working on it in between my kids' naps, on my lunch breaks, late at night and on the weekends. I'm a night owl and do some of my best writing post-midnight, and there's a sort of atmospheric darkness throughout Forsaken that I think is the result of it. Great interview. With everything you do it's amazing you find time to write at all. Sometime's Life Is So Unfair!